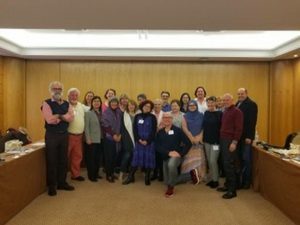 I returned 24 March from my trip to Lisbon, Portugal where I presented Tenshingoso at the 1st Global Conference on The End of Life Experience – Dying, Death and Culture in the 21st Century. The conference was attended by 25 people from around the world with diverse backgrounds and experiences. Examples of the presenters include: an anthropologist presenting on the Mi’kmaq of eastern Canada and their Funeral Feasts; a social worker presenting on bereavement and the Malay Muslims; a PhD candidate in Russian Literature presenting on The Death of Ivan Ilych by Leo Tolstoy; a Portuguese Literature Professor presenting on Old Age in Jean-Rhys’s later texts; and an ethicist from the UK presenting on Presumed Consent for Organ Donation in England. Other examples are: a Canadian psychologist and his social worker wife presenting reflections from their Death and Dying Group, an Australian ICU physician presenting on advance care planning, an American Chaplain speaking on spiritual care counselling, and an English artist presenting on her use of cloth and textiles as a metaphor for conveying grief and loss. 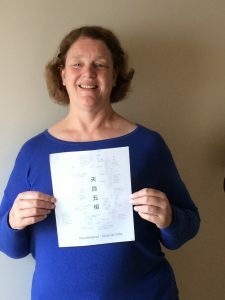 I taught the five movements of Tenshingoso with return demonstrations by the group. The group expressed appreciation for the sensation of opening the body, using the voice and the sense of harmony created as the group did the movements together. We discussed the study of the Cycle of Life with the individual movements as well as the study over a lifetime. As I concluded my teaching and the group entered the final “UM”, the local church clock bell rang 12 times – a special moment at the ending! The group also requested that I lead them again in Tenshingoso at the closing ceremony of the two-day conference. Read the Full Conference Submission.